With a working width of 50″, the new Wild Hare Hydraulic Box Blade attachment can be used for ripping, leveling, backfilling, and finish grading your driveway, arena, field, lawn, building site, and much more. The new Wild Hare Hydraulic Snow Plow Blade attachment can be used for straight pushing/scraping, or right or left pivoted angles. It has 57″ of plowing surface, hydraulic powered, and is spring loaded for safe operation. Are you searching for an ATV attachment superior to the rest? Do you have the need to dig, lift, plow, drag, push or level? 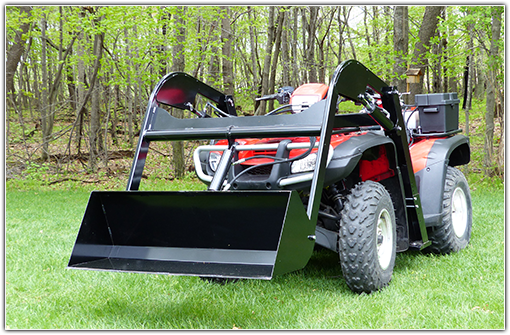 If so, the Groundhog ATV front loader is fully equipped with hydraulics, as well as suspension locks and can get the job done. The power of our front end loader opens up new opportunities, increases workforce efficiency and puts the control in your hands. Save your energy for later and use the simple rocker switch controls to lift and lower loads up to 300 pounds! 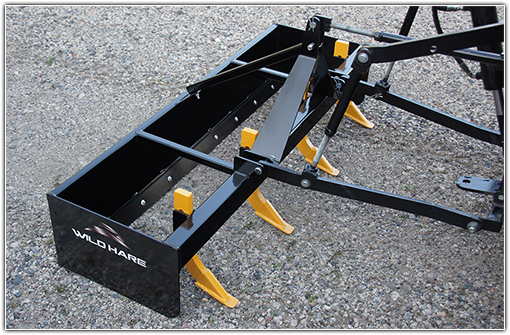 Wild Hare Manufacturing Inc. offers a very convenient attachment for our ATV front end loader – a Pallet Fork. This fork is fantastic for more than just moving pallets. Whether you’ve got a bales of hay, boxes, crates, logs, feed or anything else needs to be moved. 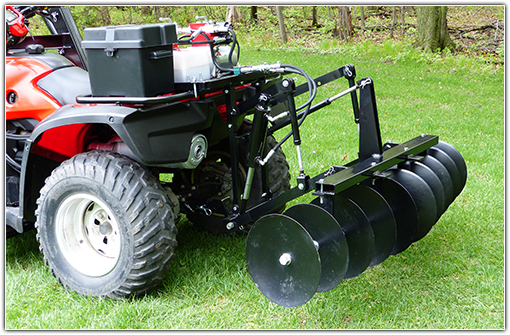 Our ATV Cultivator Attachment is designed to be used with the 3 point hitch we have available. 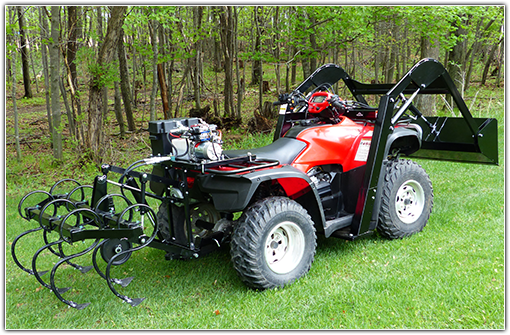 This ATV implement is powered by a rear mounted auxiliary hydraulic kit, using quick connects, with the capability to control both our front and rear ATV attachments simultaneously. With our powerful hydraulic ATV disc implement you can shorten the time it takes you to do so many tasks. Forget pushing a tiller around. Just sit back and enjoy the ride and the amount of power and control you have with the Wild Hare ATV Disc Implement. 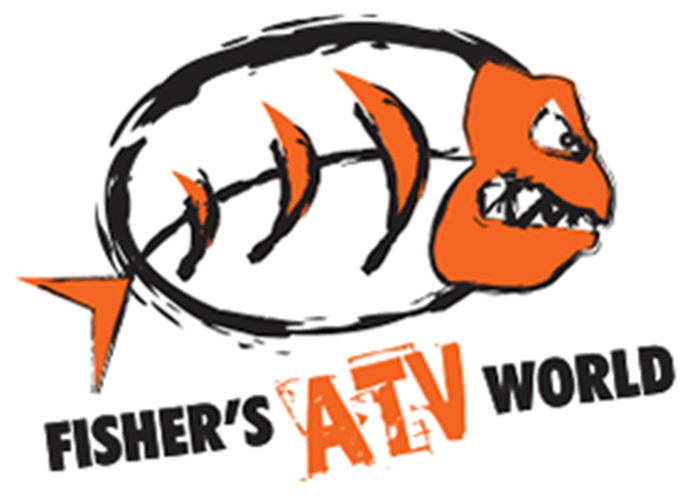 Are you searching for ATV attachments superior to the rest? Do you have the need to dig, lift, plow, drag, push or level? If so, the Wild Hare ATV Implement System – fully equipped with hydraulics, suspension locks and a diverse set of implements – will allow you to get the job done. This is the original Groundhog Loader manufactured by Concord Equipment. It is new and improved and is now durably manufactured to transform your quad from a toy into a tool – in just minutes. Wild Hare Manufacturing is rewriting the book on ATV attachments. The power of these quad attachments/implements is far greater than any competitor’s because they utilize full hydraulics, not just a winch, which gives all the attachments both powerful upward pressure (for lifting) and downward pressure (for digging). It is awesome for snow plowing, landscaping, hauling rock and mulch, back dragging, stable work and gardening, and any other application you can imagine. It is also ideal for resort owners and sportsmen. It’s time your quad owned up to its capabilities. Make any job easier by purchasing ATV implements and attachments by Wild Hare Manufacturing, and get the power of hydraulics behind you. 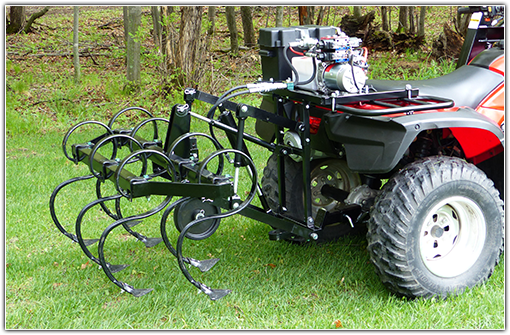 The Wild Hare ATV Implement System can lift or push into the ground with equal 300 pounds of force. Also, the Front-End Loader can raise up to 5 feet high. 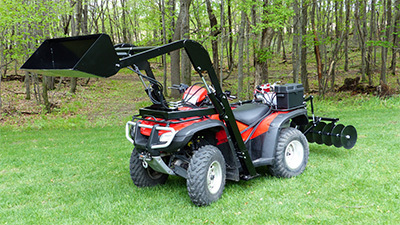 All of our attachments are easily adjustable and can fit most ATV bodies. With our versatile quad attachments that old shovel, bucket and wheel barrow will be but a faded memory of the past. Our easily mounted hydraulic attachments are an affordable solution when purchasing a tractor would be overkill, a skid steer would be too pricey or the overall size of a tractor or skid steer aren’t favorable for your location or application. Our four wheeler attachments and implements don’t just raise and lower with gravity, they move with hydraulic force controlled by a simple rocker switch mounted on the handle bar. Because they are mounted to an ATV that is light on its feet, there is no need to repair skid steer and tractor ruts in your lawn after the job is done. When the job is done…it’s done! Our products are really in a market of their own. Because of this, we have gone a step further to manufacture a variety of attachments that will simplify the task at hand. Our product line will continue to grow, with a post-hole digger and a push blade implement being in our future. Our customers are creating new applications for our powerful ATV attachments daily, and we are continuing to evolve in order to keep up with their needs. 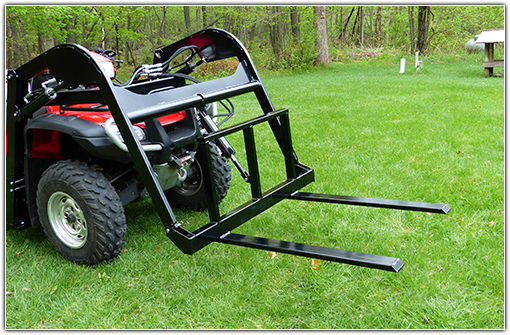 Whether you’re hauling a fresh kill, moving hay bales, hauling wood, or re-sodding your yard, our Wild Hare ATV Implement System will fully equip your four wheeler for the task at hand. Our attachments will make your heavy lifting that much easier. 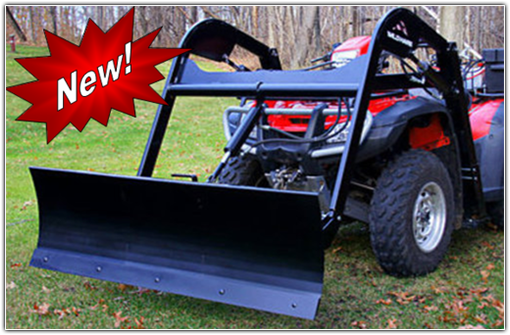 Take control with the rugged construction of the Wild Hare ATV Implement System. Order your desired products or packages online today. Wild Hare Manufacturing is dedicated to ensuring timely responses and giving you the personal attention you deserve as our customer. We can be reached directly by calling 218-483-1000 or emailing info@wildharemfg.com. We are very close to introducing new product innovations. If you’d like to be among the first to hear about our new product introductions and/or want to know about our upcoming sales, please fill in your email address below.